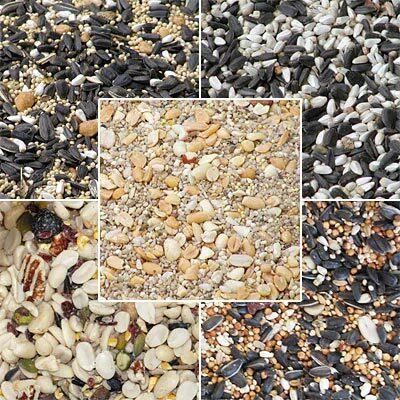 Determine which mixed bird seed is the best for your backyard birds with the BestNest Mixed Seed Sampler Package. This fantastic feeding kit provides a wealth of bird seed blends, perfect for anyone just beginning to feed birds, or for those with a bevy of feeders to fill. The package offers 10 pounds each of five different seed blends, for the delight of all your feathered friends. The Cardinal Blend is great for use in tube and platform feeders, as is the Woodpecker Blend. Hopper feeders are a great option for the included Divine Blend and Deluxe Blend with Fruit, while the Waste Free Blend may be used in any of theses feeders. The unique properties of each mixture make them appealing to specific bird species, and all offer your feathered friends balanced nutrition. Keep several feeders full of different seed mixes with this Mixed Seed Sampler Package. Wild Bird Seed Mix, Woodpecker Blend, 5 lbs. Wild Bird Seed Mix, Economy Blend, 50 lbs.